Carbohydrates, or saccharides, are the most abundant class of biomolecules. Carbohydrates are used to store energy, though they serve other important functions as well. This is an overview of carbohydrate chemistry, including a look at the types of carbohydrates, their functions, and carbohydrate classification. Different carbohydrates are formed by the way these elements bond to each other and the number of each type of atom. Usually, the ratio of hydrogen atoms to oxygen atoms is 2:1, which is the same as the ratio in water. The word "carbohydrate" comes from the Greek word sakharon, which means "sugar". In chemistry, carbohydrates are a common class of simple organic compounds. A carbohydrate is an aldehyde or a ketone that has additional hydroxyl groups. The simplest carbohydrates are called monosaccharides, which have the basic structure (C·H2O)n, where n is three or greater. Two monosaccharides link together to form a disaccharide. Monosaccharides and disaccharides are called sugars and typically have names ending with the suffix -ose. More than two monosaccharides link together to form oligosaccharides and polysaccharides. In everyday usage, the word "carbohydrate" refers to any food that contains a high level of sugars or starch. In this context, carbohydrates include table sugar, jelly, bread, cereal, and pasta, even though these foods may contain other organic compounds. For example, cereal and pasta also contain some level of protein. Monosaccharides serve as fuel for cellular metabolism. Monosaccharides are used in several biosynthesis reactions. Monosaccharides may be converted into space-saving polysaccharides, such as glycogen and starch. These molecules provide stored energy for plant and animal cells. Carbohydrates are used to form structural elements, such as chitin in animals and cellulose in plants. 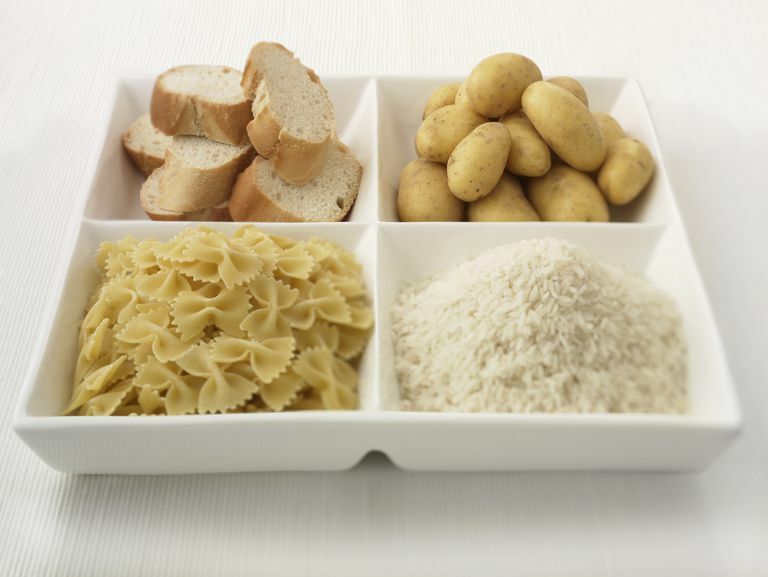 Carbohydrates and modified carbohydrates are important for an organism's fertilization, development, blood clotting, and immune system function. A monosaccharide is D or L, depending on the orientation of the asymmetric carbon located furthest from the carbonyl group. In a D sugar, the hydroxyl group is on the right the molecule when written as a Fischer projection. If the hydroxyl group is on the left of the molecule, it is an L sugar.